Functionally speaking, sharp lines of distinction between Instrumental and Classical phenomena do not exist except under the artificial conditions of a Science Laboratory. Successful control of your dog depends on the adequate prediction of behaviour, and adequate prediction depends on successful control of the environment so that the dog believes it is controlling the events to improve its circumstances. I have experimented in many ways of teaching dogs to thrive. I have worked tirelessly to create, increase and promote quality learning and increase motivation, with the aim of building robust and uncomplicated behaviours. I find the systems presented in these books to be an excellent way to achieve optimum results. 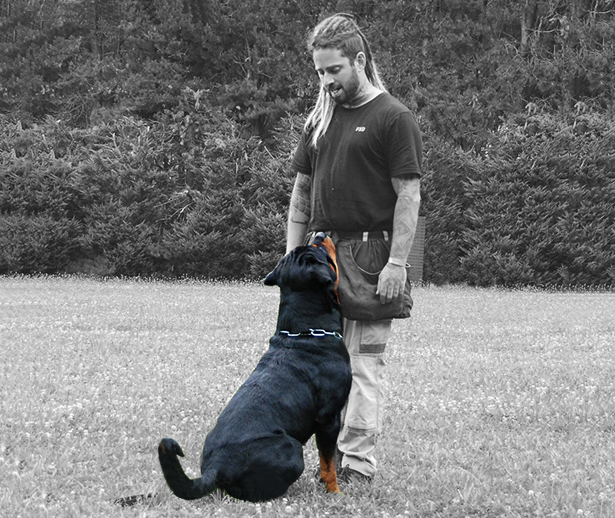 As trainers, we need to teach dogs how to use their instincts correctly, usefully and refrain from hampering, complicating and confusing their genetic compulsion to achieve their ‘instinctive goal’, ‘fulfilment’ and as a consequence ‘thrive’. A dog’s sole purpose is to achieve its ‘instinctive goal’ due to its genetic fixation and conditioning. However, the handlers goal is to achieve 100 points in a competition or to maintain complete Tactical Control during deployment. Therefore, we can agree that dog training is based on ‘managing and resolving conflict’. Once this conflict is resolved, your handling and results will transform into visual poetry. Enjoy the Books and CD’s. An opportunity to save on multiple purchases. If you, your club or organisation wish to acquire numerous copies there are discounts available on ten or more books or CDs. Bundle offer; save 10% when you order all three books or all three CDs. Send us your contact details, and we’ll email you our bundle price list. 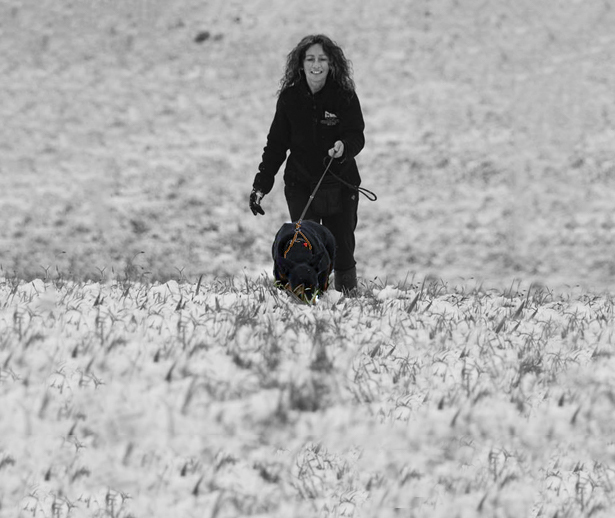 Our systems provide a unique way of thinking so that you can create a seamless ‘mental pathway’ for your dog to genuinely understand your requirements. Because ‘clarity’ liberates the mind and provides a mechanism to think and learn. Dogs operate in a similar way… but without a spoken language. All you need to do is learn how to think like a dog so that your dog can respond accordingly. Avoid the difficulties and endless searching on the internet. Our solutions have evolved over 37 years, achieving rapid results. Because we have identified effective ways of teaching dogs, in line with their instincts helping them learn faster’. Our mission is to transform your way of thinking so that you too become as skilled in reading behaviour, just like your dog. To assist you in learning more about the content in the three books we have provided some extracts for your interest. We hope the information helps in making your correct choice of reference. Traditionally we have been taught that positive reinforcement increases behaviour, that may be so, however, did you know that negative reinforcement has an equal if not an increasingly significant impact on behaviour? Negative reinforcement should be called ‘behaviour enhancer’ because that is what it does. It amplifies the ‘target’ behaviour. 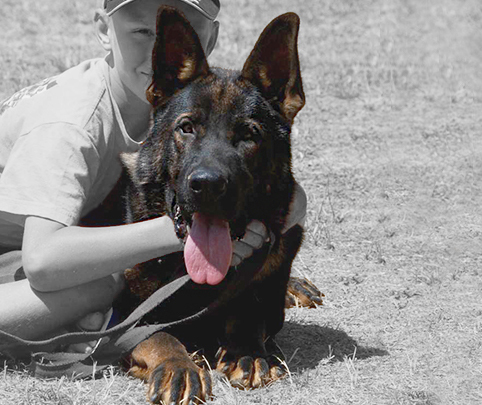 As a handler you need to choose what that will be. Learn how to amplify your target behaviours 75% faster. With this unique way of thinking, you will save a tremendous amount of time training your dog. Because, once we create that fundamental shift in you, your transformation will ‘significantly’ impact the results you achieve. We aim to liberate you emotionally and create an extraordinary handler so that you can achieve remarkable results. We can email you as more training books and CD's become available. Complete the form below and we'll let you know what is happening when it happens!